While I was presenting at the SCBWI summer conference in Los Angeles, I couldn’t help but ask my audience a question I’ve been thinking about for a long time: Why don’t STEM titles seem to win the BIG awards in children’s literature as often as social studies titles? One person in the audience was so intrigued by my question that she asked me to lunch. Needless to say, we had quite a discussion. When I tossed out that question on the spur of the moment, I didn’t have any data to back me up. (I know what you’re thinking. What kind of scientists am I?) But recently, I’ve looked back over past winners of the Newbery, Caldecott, and Sibert and tallied the nonfiction winners. The Newbery was created in 1922, and the Caldecott was created in 1938. I reviewed the medalists and honor winners since 1995. The Silbert was created in 2001, so I tallied the winners since its inception. I have to admit that when I’ve read through these lists in the past, I came away with the impression that history titles had STEM beat hands down. But a closer look shows that history is only the clear leader among Newberys. Biographies are the big winners overall with a total score of 37 (8 medalists, 29 honors) overall. While history (22 overall) and STEM (12 overall) trail behind. Then I took a closer look at the people featured in the biographies. It turns out that 23 are key historical figures and 8 are scientists. The rest are artists or musicians. So why don’t STEM boosk win their fair share of accolades? What do you think? 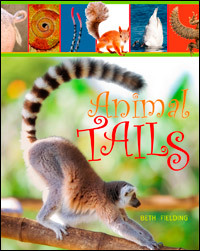 Categories: STEM Friday round-up | Tags: Melissa Stewart, Science, STEM books | Permalink. The Wing Wing Brothers are not a new chicken snack franchise, but instead a group of winged brothers who are no bird brains. These Fibonacci-like fowl put on an unprecedented math show for children of all ages. Walter, Wendell, Willy, Wilmer, and Woody put on a stage show in three acts. Act One features plate spinning to help youngsters with pesky greater than, less than, and equal equations. The end of the act is a smashing success that is unequaled. Act Two has a plethora of pie juggling and throwing to show students how addition and subtraction work. Willy is the superstar of this act with a surprise finish sure to please. The final act brings more addition and subtraction prestidigitation. What could be better for this than the magic box disappearing act? You can do quite a bit of addition and subtraction with this device. The ending of the show will leave audience members aghast. Any time that you can add humor to a sometimes difficult subject like mathematics, it is greatly appreciated by teachers and parents. After reading this book, I could see students developing their own skits that illustrate addition and subtraction equations. The Wing Wing brothers will help young math students better understand the acts of putting together and taking apart in mathematics.